Table for One is a new series highlighting Kristin Alexander’s experiences as a single diner. This is the first post. 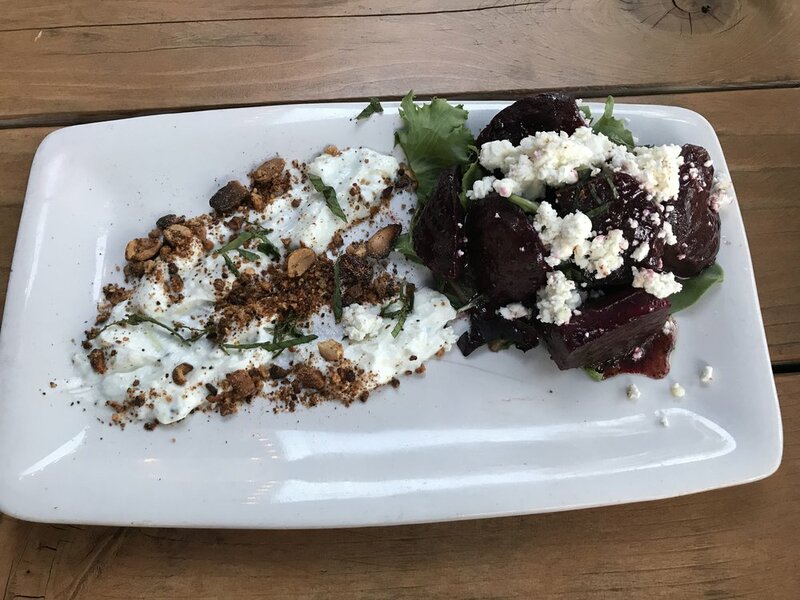 An excess of white wax spills from the candles that illuminate Grappa, the Mediterranean restaurant perched at the top of Seattle’s Queen Anne Hill. Excess might be a theme here, where the portions of nicely presented Italian and Greek dishes can be surprisingly generous. As a solo diner, I usually have leftovers. Since its opening in February 2016, Grappa has become one of my favorite neighborhood spots for lunch and dinner. The staff is exceptionally pleasant. Not once have I been greeted with the irritating, “Just one?” Although I’ve been steered toward the bar a few times, I’ve always had my pick of a seat in the main area or on the patio when I’ve asked. While I wouldn’t describe it as a hot spot for singles, I’ve successfully struck up conversations with diners seated nearby. Try any of the pastas or risottos. 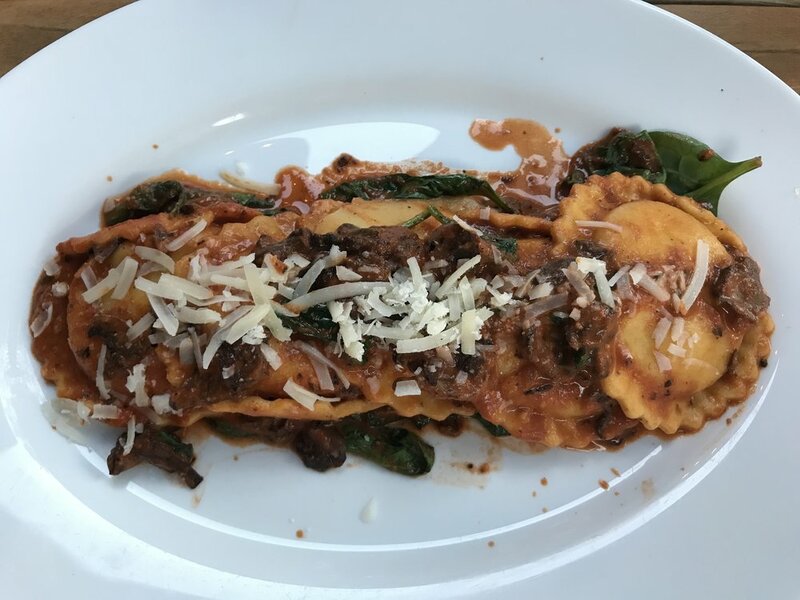 The Grappa ravioli, stuffed with fresh mozzarella and served with mushrooms and spinach, is filling and reminds me of some of the better meals I’ve enjoyed in Italy. The lasagna is meaty. The mushroom and sausage risotto, rich and scrumptious. 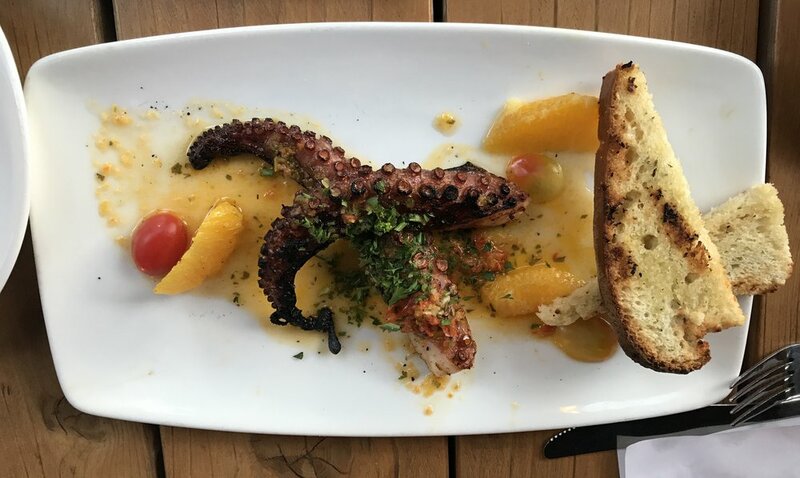 On a recent visit, the couple seated next to me described the Spaniard octopus on the appetizer list as “cooked perfectly” but the paella as a bit bland. Speaking of appetizers, the plate-sized arch of spanakopita served with Tzaziki sauce, is a meal of its own. Grappa’s wine list includes a nice selection of glass pours starting at $8; the price dips to $5 during happy hour. As its name suggests, you can also choose from more than 20 Grappas, as well as cocktails made from the grape-based spirit. If you still have room for dessert, Grappa delivers here too. The tiramisu is some of the best I’ve tasted, and the lemon basil sorbet a refreshing alternative to some of the sweeter offerings. Previous restaurants at this location haven’t lasted long. Then again, they haven’t been this good. 2 Boston St., Seattle. 206-466-2027. 11 a.m. – 10 p.m. daily.